HomeBlogLatest NewsWhy is Mowing Your Lawn So Important? While a freshly mowed lawn looks amazing, taking care of your grass is important for a range of other reasons. By cutting your grass to a uniform length, you’ll ensure that your entire lawn has equal exposure to sun, water and any fertilisers you might use. Regular mowing also encourages your grass to grow stronger and healthier over time. With every trim, the healthiest blades will shoot up while the weakest ones die out. Mowing your grass has one very obvious benefit: a tidy and appeasing looking turf! A well-maintained lawn can be one of the most attractive features of your garden, especially if you’re lucky enough to own a large yard. If you’re a fan of outdoor entertaining, a perfectly manicured lawn can impress your friends and create an elegant backdrop for your next party. Keeping your lawn tidy is especially important if you’re trying to sell your home. Potential buyers are going to take one look at an overgrown, messy lawn and walk away. Thousands of people suffer from grass allergies, with symptoms varying from uncomfortable to debilitating. Regularly mowing your lawn is a great way to keep those allergies at bay. By keeping your lawn trimmed, you’ll reduce the amount of pollen and seeds in the air. A neat lawn can also reduce weeds and other unwanted plants that can cause allergy symptoms. However, allergy sufferers should consider recruiting a friend or family member to do the hard work. 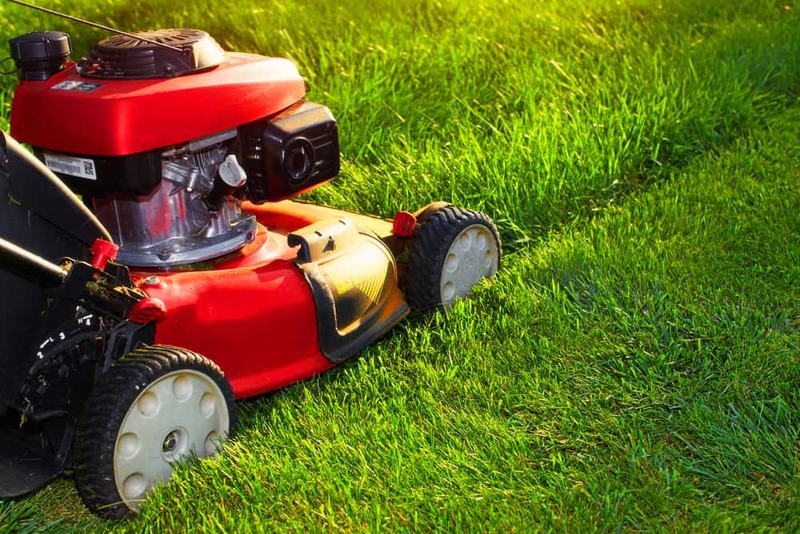 Mowing can send grass cuttings and pollen into the air, potentially resulting in runny noses and itchy eyes. If you do suffer from grass allergies, you may want to consider types of grass with low pollen rates. Unfortunately, scientists still haven’t created a lawn that doesn’t require mowing! However, there are a great variety of low maintenance grasses available. Empire zoysia is known for its slow growing properties, meaning you won’t have to drag out the mower every weekend. Most varieties of buffalo turf[sd2] are also ideal for those looking for a low maintenance lawn, specifically our Palmetto Buffalo is a low maintenance variety, saving you time. Your local turf contractors are a great place to start if you’re unsure about which grass to choose for your lawn. At Hi Quality Turf, we are dedicated to helping you achieve a luscious lawn. For a great range of turf supplies, plus all the expert advice you need, contact our friendly team today and call 1800887258.